Finding the right cleaning company may be very difficult, especially if you have a limited budged. 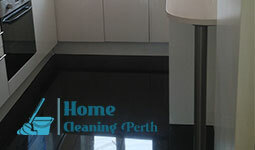 Most cleaning companies in Perth are too expensive and yet provide a service far from the best. And there you have us – a professional cleaning company with a decent performance-price ratio. No, it’s not a dream, we are real and we are here for you! We are supplied with ultramodern cleaning tools and equipment and we guarantee the best possible cleaning service in Perth. You can alleviate yourself of our professional cleaning services at your convenience. Why working with us is beneficial for you? We are equipped with professional cleaning tools and materials. We have a team of experienced professionals ready to fight germs, bacteria and dust and remove them from your home for good. We offer a wide variety of cleaning services, each of which applicable for homes as well as offices. We have a working knowledge on how to degrease even the greasiest and grimiest oven, book our professional oven cleaning and we’ll prove it. We will also erase every stain from your carpet and enhance it’s natural colors, just choose our professional carpet cleaning. Don’t worry, we have the power to professionally clean your upholstery, too. There’s no such thing on your windows that can’t be cleaned – we are able to make your windows sparkling clean, just call us and book our professional cleaning services, exclusively available in Leda, Stirling, Carine, Roleystone and Bassendean. We highlight our after builders exclusively for those who find cleaning up after builders too burdensome. Some builders are not fans of cleaning and this makes the after builders cleaning especially difficult. With our help, though, you won’t have to worry about it. What about the cleaning you need to perform between tenants, on when you’re about to put up your space for rent for the first time? Yes, we can help here, too. We’ll remove all bacteria and germs from the place, just book our professional pre tenancy cleaning services. We offer a wide variety of professional cleaning services. We are available in Perth throughout the week, including on bank holidays. Choose us today.